ProPak, Asia’s largest platform in its domain, comes to India as a result of geo-location from the ProPak global model with its proven track record of 26 years. Synonymous with quality, professionalism and service, ProPak with shows in Thailand, China, Myanmar, Philippines and Vietnam will be comprehensively tailored to Indian requirements in the launch edition. It will be well-supported by key associations such as Association of Food Scientists and Technologists (I) Mumbai Chapter (AFSTI), All India Food Processors’ Association (AIFPA) and Active & Intelligent Packaging Industry Association (AIPIA). Unlike corresponding expos in the sector, ProPak India will cater to packaging and processing in multiple sectors such as food, beverages, pharma, cosmetics, personal care and hygiene. In this, the expo will capitalize and derive value from UBM India’s strong foothold in the food, beverages, pharmaceuticals and cosmetics verticals with leading industry events such as Innopack F&B, Innopack Pharma, CPhI - P-MEC India, and Cosmoprof India, besides Fi India & Hi. Key exhibitors at the show will include Clearpack India, IWK Thailand, Ishida India, Gandhi Automations, Ace Technologies, Goma Engineering, IMA-PG, among a host of others. The show will benefit manufacturers, distributors, Govt institutions, and other key professionals associated with Product Development, R&D, QC/QR labelling, Packaging Development, Procurement, Supply Chain, purchasing, and Marketing and help them network, exchange ideas on trends and solutions, and conduct business under one address. Alongside the exhibition, ProPak India 2018 will also feature an engaging and interactive conference on “New ways to promote healthy consumption, Fight counterfeiting and Engage consumers” conducted by Active & Intelligent Packaging Industry Association (AIPIA) & interactive sessions by World Packaging Organisation (WPO). Experts from Industry will also share their view on “Economic Impact of Trade Barriers on Indian Food Processing Sector” & “Novel Ideas for Start-up in Food Processing & Packaging Sector” that will help the show bridge the knowledge gap and offer many facets of the industry that are waiting to be tapped upon. UBM Asia recently became part of Informa PLC, a leading B2B information services group and the largest B2B Events organiser in the world. 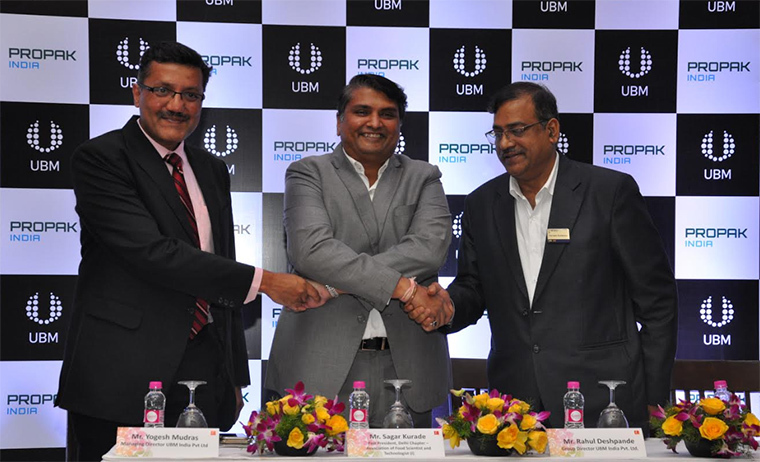 ProPak India is organised by UBM, which in June 2018 combined with Informa PLC to become a leading B2B information services group and the largest B2B Events organiser in the world. Good to know about this.If you are looking for tamper proof labels, then you can contact intertronix.com for further details.